WinX HD Video Converter Deluxe, all-in-one video software as an 4K Ultra HD video converter for Windows PC, online (YouTube) video downloader, slideshow maker and video editor, gives you an ultimate control over SD, HD and 4K resolution video files. With over 320 video codecs & 50 audio codecs, it owns powerful capability to meet fast and high-quality video conversion needs without assistance of any third-party tool. Though our hunger for free content has taken over our lives and crept into all kinds of media, does WinX HD Video Converter Deluxe offer endearing features to justify a download or purchase and perform so well on all fronts that no one can resist? Does it truly live up to the praise that it is the best combination of video converter, video editor, online video downloader and slideshow maker? Let’s find out the answer in the review. To ensure WinX HD Video Converter Deluxe users won’t have the slightest difficulty converting videos on Windows (10), devs of this HD video converter tried their best and managed to endow it with the capacity of converting 1080p multi-track high definition videos MKV, H.265, M2TS, AVCHD, MOD, HD camcorder videos, Blu-ray videos, and standard AVI, MPEG, MP4, WMV, MOV, VOB, FLV, RMVB, WebM, Google TV, etc. 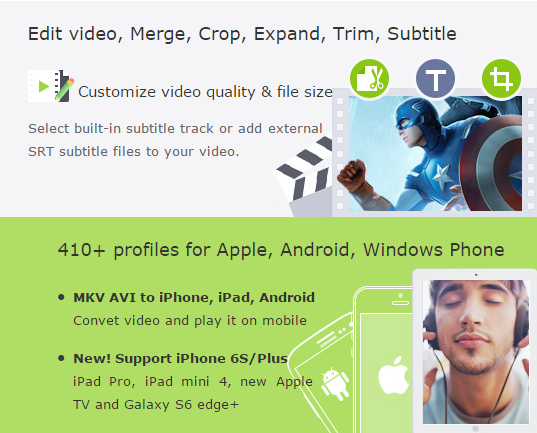 On the device front, this converter, with 410+ built-in preset device profiles, enables you to convert SD/HD videos for playing on Apple (iPhone, iPad, iPod, Apple TV, iTunes), Android (Nexus, Samsung, HTC, Kindle Fire), Microsoft (Windows Phone, Surface, Xbox), Chromecast, Sony, Nokia Lumia, etc on the journey. When it comes to rating a converting program, quality and speed are two of the most valued indicators. Due to the utility of high quality engine, “Yadif Double Frames” de-interlacing engine and multi-core CPU technology, WinX HD Video Converter Deluxe always succeeds presenting clearer output graphics than most of its competitors while allowing you to take full advantage of up to 8 Cores to maximally increase the processing speed, delivering an 83x faster real time converting speed. 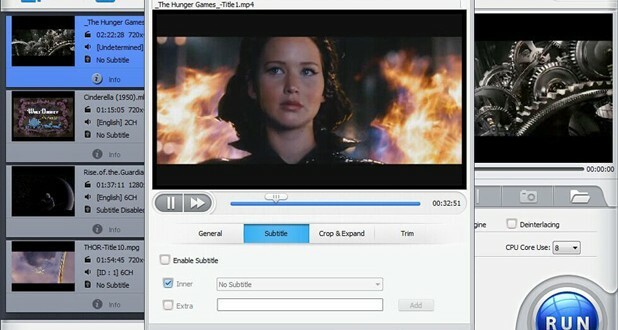 WinX HD Video Converter Deluxe allows you to customize the converted video by offering tools that enable users to change video elements such as bit-rate, frame rate, aspect ratio, codec and more. On the flip side, you are also given the right to trim footage, crop video, add subtitles and merge multiple videos to create a bespoke video. Suffice to say, WinX HD Video Converter Deluxe has everything that makes itself a full-fledged HD video converter. 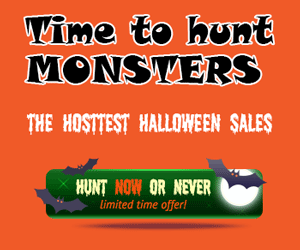 Even better than that, downloading online videos and making photo slideshows are another two enticing features hidden beneath its surface, which gives you an extra reason not to miss this attractive giveaway promo. However, for those looking for a method to rip and copy your DVDs, WinX DVD Ripper Platinum is the way to go.